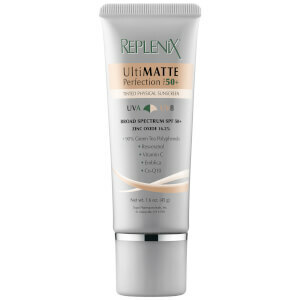 Replenix Ultra Sheer Sunscreen SPF 50+ keeps the sun at bay and protects your skin longer. This sunscreen provides a sheer layer that feels light, but protects your skin from UV rays. Replenix Ultra Sheer Sunscreen SPF 50+ is specially formulated with avobenzone (Parsol 1789) to help provide the highest level of long-lasting, broad-spectrum protection in combination with a rich blend of free-radical-quenching antioxidants. Ideal for those wanting sheer protection in a broad-spectrum sunscreen. Apply liberally and spread evenly by hand 15 minutes before sun exposure. Re-apply after swimming, excessive perspiring or anytime after towel drying. Vitamin C - Antioxidant; protects and stimulates collagen production; evens skin tone. 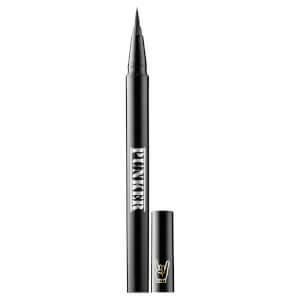 Vitamin E - Antioxidant; conditions and protects the skin from free radical damage. CoQ10 - Helps repair and prevent the visible signs of age. Green Tea - Provides antioxidant benefits and protects collagen. Resveratrol - Antioxidant; maintains skin's youthful appearance. Active Ingredients: Octinoxate 7.5%, Octisalate 5.0%, Oxybenzone 5.0%, Avobenzone 3.0%. Inactive Ingredients: Ascorbic Acid, Ascorbyl Palmitate, Biotin, Camellia Sinensis (Green Tea) Polyphenols, Caprylyl Glycol, Cetearyl Alcohol, Ceteth-20 Phosphate, Dicetyl Phosphate, Disodium EDTA, Emblica Officinalis Fruit Extract, Ethylhexyl Benzoate, Ethylhexyl Methoxycrylene, Phenoxyethanol, Phospholipids, Potassium Hydroxide, Purified Water, Resveratrol, Retinyl Palmitate, Sorbic Acid, Tocopheryl Acetate, Ubiquinone (Coenzyme Q-10). I have an auto-immune disease with photosensitivity and this works! I have tried others that left me white and pasty and I still got a bad reaction from just a couple hours of being outside. This sunscreen has a milky consistency, goes on clear and soaks in with a little time(is less greasy than the Replenix sunscreen with moisture in the tube) and is good for your skin. Absolute best! !